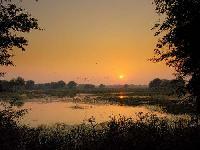 Keoladeo Ghana National Park is one of the man made wetlands in India that has been declared as a National Park. It was formerly called as Bharatpur Bird Sanctuary.This park hosts a large number of avifauna during the summers and is considered as one of the best national parks to observe exotic migratory birds and other birds of India. Located in Bharatpur district of Rajasthan, this park serves as a primary centre for ornithologists and other zoological studies. The Periyar National Park, Kerala is the only national park in South India as well as in India that has an artificial lake flowing through the forests. Located on the evergreen hills of the Western Ghats, this wildlife sanctuary is also one of the Tiger Reserve Forests in India.While boating in the Periyar Lake, visitors can behold the mighty beasts of this park, quenching their thirsts on the lakesides. Elephants, Deer, Nilgiri Tahrs and Langurs are the other attractions of this park. Tadoba Andhari Tiger Project, a Tiger Reserve in Chandrapur district of Maharashtra is the oldest and the largest National Park in Maharashtra. Bengal Tigers, Leopards, Stripped Hyena and Jungle Cats are some of the commonly found carnivores of this park. Sloth Bears, Gaur, Nilgai and Spotted Deer are the herbivores.Forests of this park always bear the green colour due to the geographical topography of the parks location. Axle wood, a fire resistant species of trees can be commonly found in this park. 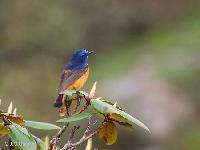 Among the other species, Black Plum, Arjun and Palas are dominant. The Great Himalayan National Park lies among the lush coniferous forests of and the snow capped mountain peaks Kullu, Himachal Pradesh. It is one of the high altitude national parks in India. While the location of this park is itself a stunning feature, the emerald meadows in some portions of the park makes it one of the stunning parks in India. 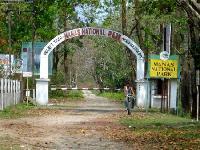 Galathea National Park is a National Park located in the Union Territory of Andaman and Nicobar Islands, India. It is located on the island of Great Nicobar in the Nicobar Islands, which lie in the eastern Indian Ocean Bay of Bengal. The total area of this park is some 110 square kilometres, and it was gazetted as a National Park of India in 1992. Galathea forms part of what has been designated as the Great Nicobar Biosphere Reserve, which also includes the larger Campbell Bay National Park, separated from Galathea by a 12 km forest buffer zone. Many unique and rare species of plants and animals are found in the park, a number of which owing to their relative geographical isolation are endemic to the islands. Middle Button Island National Park is an Indian national park located in the Andaman and Nicobar Islands. It is situated close to Port Blair. The total area that this parkland covers is about 64 square kilometres. Interview Island Sanctuary is the largest island sanctuary in the Andaman and Nicobar Islands. Surrounded by dense forest area and close to the beach, there is no permanent human habitation on the island. It is covered by semi evergreen forest and the remaining area harbours mangroves and littoral forests.